NASA continually provides us with news from outer space. The most thrilling stories are connected to exploration of the Red Planet. From Viking 1 and 2 of the late 1970s to more contemporary Mars rovers, NASA almost never failed in their space quests. However, there is one curious blemish in their history of space exploration that is a great wonder for many science enthusiasts. In 1995 NASA scientists conceived a huge mission to be launched in late 1998/early of 1999. 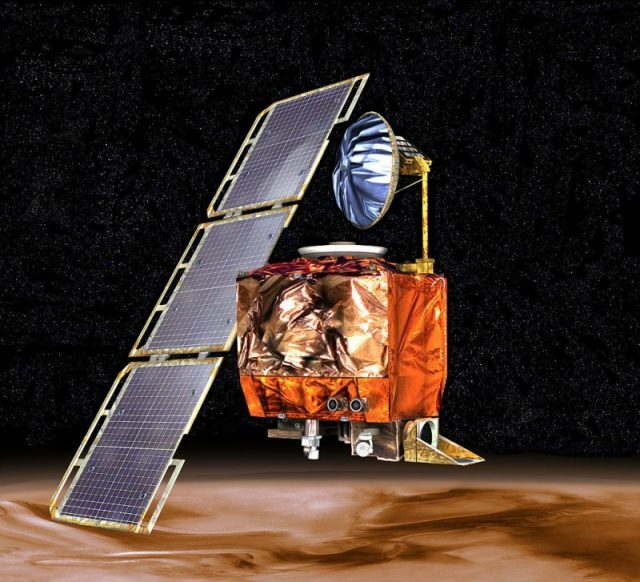 Artist’s rendering of the Mars Climate Orbiter. 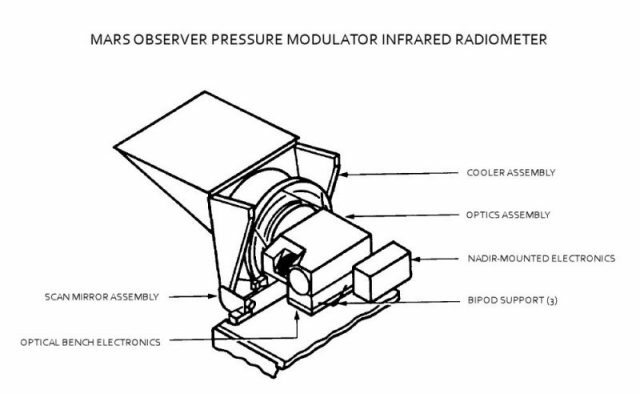 The Mars Climate Orbiter and Polar Lander were designed to find evidence of water existing on Mars, which is considered a key factor in finding life outside of our own planet. It was a huge multi-mission program, developed at the Jet Propulsion Laboratory as a continuation of the Viking probes, but with a potential for exploring the planet in a much greater detail. The Polar Lander was deployed to the planet’s surface, while the Mars Climate Orbiter was meant to stay orbit around Mars, relaying data from the Polar Lander back to Earth. The orbiter also collected atmospheric data from its lofty vantage point. Lockheed Martin Co. in Denver worked on developing, building and operating the spacecraft. The problem was that the spacecraft was designed to operate using imperial units, while NASA has operated solely based on the metric system since the beginning of the ’90s. 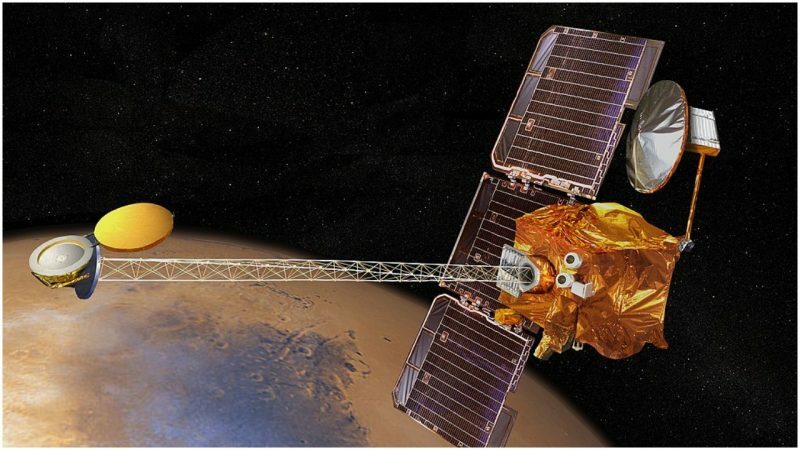 Mars Climate Orbiter undergoing acoustic testing. This was the root of the unfortunate mishap which caused the Climate Orbiter to be lost. 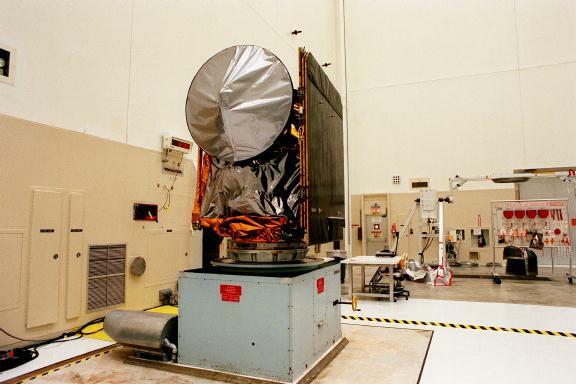 The Mars Climate Orbiter was launched on December 11, 1998 from Launch Complex 17A, located at Cape Canaveral Air Station in Florida. The mission was planned so that the spacecraft would reach Mars nine months after its launch. 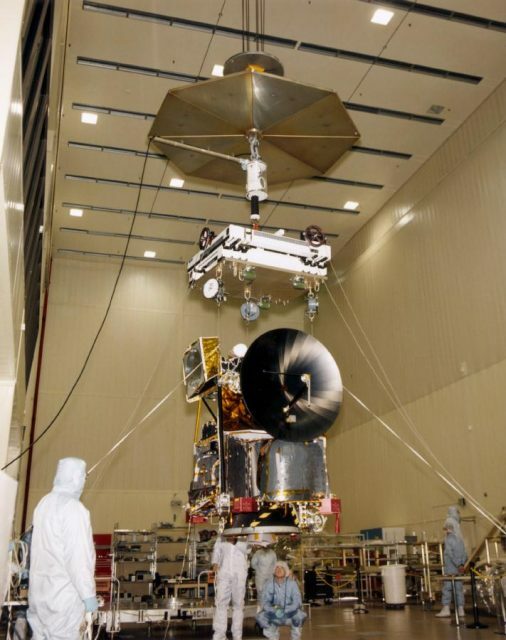 Mars Climate Orbiter during assembly. The orbiter, of course, couldn’t navigate on its own. There were whole teams working on Earth to guide it in the right direction. The spacecraft needed to be under constant surveillance of mission scientists who would keep it flying on the right path. Location information was sent from the spacecraft to mission control, where it was processed and instructions to adjust the trajectory of the spacecraft were sent back. 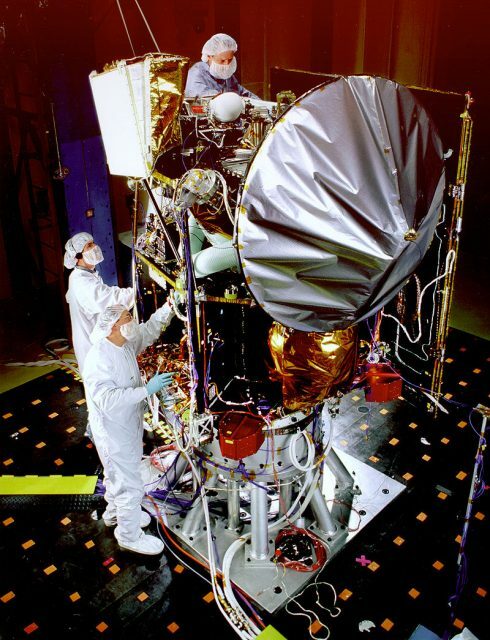 Mars Climate Orbiter awaiting a spin test in November 1998. But the science team on the ground used metric measures, while the spacecraft was adjusted according to imperial measurements. The exact details of what happened are unknown, but it is thought that the orbiter’s orbit took it too close to the planet. Heat generated by friction as it skimmed the top of the atmosphere could be what caused the engine to combust. 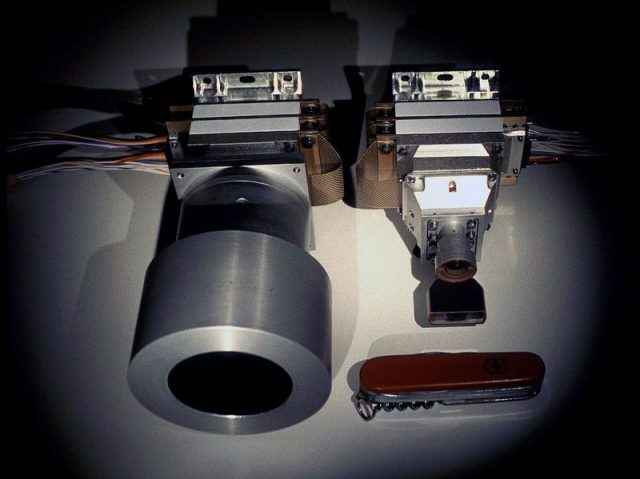 The Mars Color Imager (MARCI) is a two-camera imaging system designed to obtain pictures of the martian surface and atmosphere. Even the smallest error in measurement can have a huge effect in outer space where the miles pile up easily. 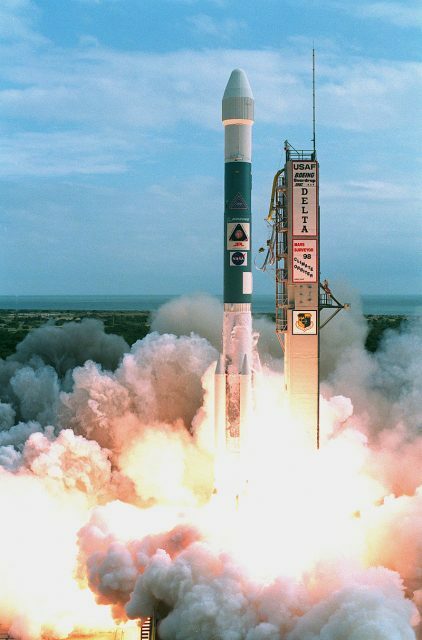 Launch of Mars Climate Orbiter by NASA on a Delta II 7425 launch vehicle. Lockheed Martin continued to produce different aircraft and even still provides NASA with orbiters for different Mars missions. Lorelle Young, president of the U.S. Metric Association, blamed the government’s stinginess to invest in science as a main cause of this tragic mishap.